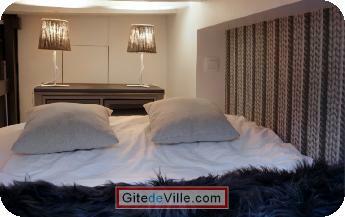 Self Catering Vacation Rental of 27 m² in Rennes for 4 peoples. les tarifs sont dégressifs et négociables en cas de longue période de location. 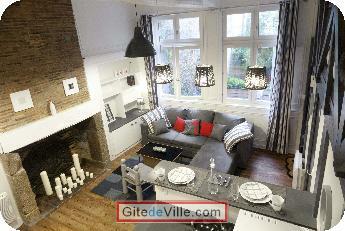 Charm and friendliness for this fully equipped apartment, perfectly located and recently renovated, for 1 to 4 people! 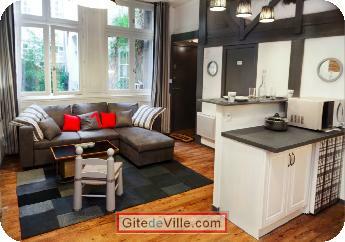 This apartment is located in a pedestrian street in the historical heart of Rennes : ideal for a business trip as for a tourist stop ! 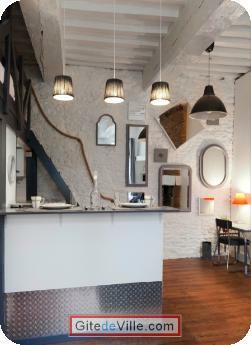 It is located just behind the Cathedral of Rennes, a few steps from a bakery and all the shops and restaurants of the centre or Rennes. You are near the Place des Lices and its famous Saturday market. 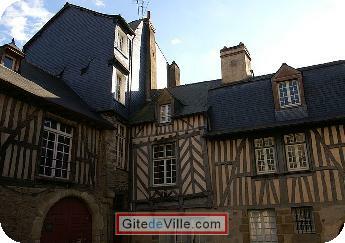 2 minutes from the Town Hall Square, 5 minutes from the Parliament of Brittany! The whole walk. Of course, bus and metro are close also. Coming by car? Pay parking is located 3 minutes from the apartment. The apartment has been completely renovated. 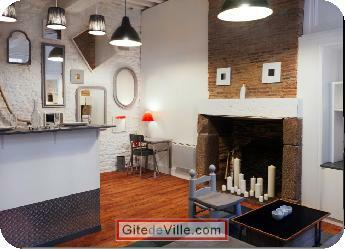 It is modern and very comfortable while keeping the charm of the old (High ceilings, exposed beams, brick fireplace). The decor is neat and everything has been thought that the place is a veritable nest, warm, and functional. You will feel at home, be sure! A real bed with quality mattress and box spring for 2 people in your room (mezzanine) and storage for your clothes. 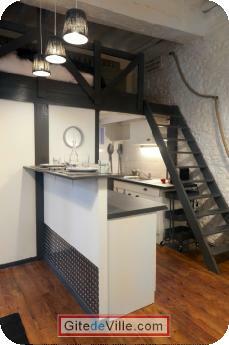 The kitchen includes a combined multifunction oven / microwave, ceramic hob, Nespresso coffee machine. You will find all the crockery and cooking utensils you will need. The bar is open to the living room. Install comfortably on the corner sofa to read a book or watch a movie ... If the mood is at work, a small school desk is available! The sofa converts into a comfortable bed can accommodate one or two additional people. 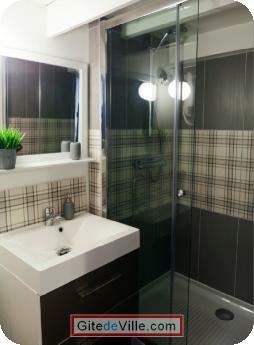 The bathroom includes a large shower (80X120cm), a sink cabinet and a toilet. You have a closet in the apartment entrance. If you stay for more than one month, you'll have an house keeper that will come 2 times a month… included in the price. Last Bonus: you can enjoy a small terrace. Ideal for smokers, the access door is right next to the front door of the apartment. It's not a private terrace, but it's a terrace ! The front door of the apartment works with a code, arrivals are possible at any time. Les rues du centre historique...L'appartement se trouve dans l'une d'entre elles ! La cathédrale, le parlement ! Vous pourrez aussi profiter des terrasses des bistrots et restaurants du quartier à prix très raisonnables. Sachez aussi qu'il y a des concerts de jazz gratuit au ty anna tous les 1er week end du mois, le vendredi et le samedi soir ! L'office du tourisme se trouve à côté de l'appartement, vous y trouverez de nombreuses documentations sur les sorties culturelles et touristiques de la ville ainsi que des informations sur les villes aux alentours. Last Ads update : 06/26/2014.